This collection of poetry by the celebrated southern Iranian poet and filmmaker Roja Chamankar (b. 1981) introduces English-speaking readers to one of the most accomplished and well-loved poets of her generation. Chamankar’s work blends surrealism and the southern coastal landscape of the poet’s upbringing with everyday experiences in rapidly urbanizing Tehran. While locating herself in the modernist tradition of Iranian poets like Forugh Farrokhzad and Ahmad Shamlu through form and imagery, Chamankar infuses this tradition with concerns unique to a generation that grew up in post-revolutionary Iran and endured the effects of the Iran-Iraq war. Seascapes, love and eroticism, the disconnection of modern life, and myths and fairytales figure prominently in these vivid, lyrical poems. In the rich miniature worlds of Chamankar’s poetry, readers become privy to a range of experiences, from desire and pain to rage and humor. Sometimes abstract, other times surreal—Chamankar’s unique poetic voice, like the sea she returns to again and again, combines and sweeps these experiences to shore with assurance, strength, and beauty. Born in Borazjan in southern Iran in 1981, Roja Chamankar is a poet and filmmaker with an academic background in Dramatic Literature and Cinematography. She has published nine books of poetry in Iran, co-written three books for children, and translated two collection of poems from French into Persian. Her works have been translated into several other languages and have won a number of national and international awards, including the Greek Nikos Gatsos prize in 2016. Roja has participated in numerous poetry readings and festivals in Iran, France, Sweden, Austria, Malta, and the United States. 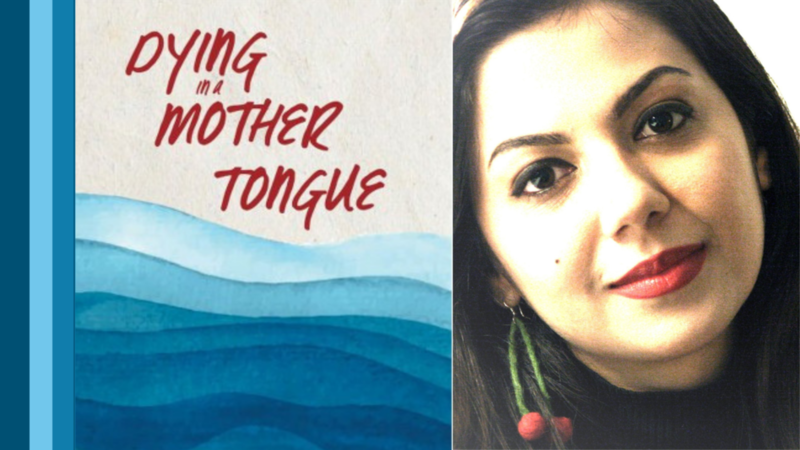 An English translation of her poetry collection, Dying in A Mother Tongue, translated by Blake Atwood, was published in November 2018 by the University of Texas Press. She is currently residing in Austin, Texas.